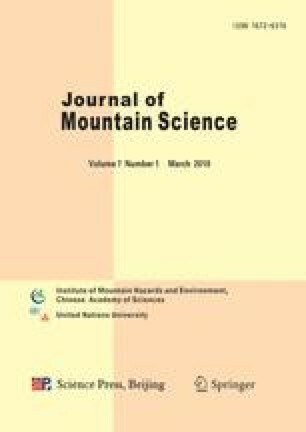 The comparative studies on micromorphological features in diagnostic horizons of Stagnic Anthrosols, Ustic Ferrosols and Ustic Vertosols in southwestern China were conducted to underpin the rationale for Chinese Soil Taxonomy. The following findings were explored: (1) Stagnic Anthrosols had the specific micromorphological features, e.g., the humic formation in anthrostagnic epipedon, the platy structures in plow subhorizon, the secondary formation of ferromanganese and the weakly optical-orientation clay domains in hydragric horizon, etc. : (2) The groundmasses of ferric horizon in Ustic Ferrosols appeared in hue of 2.5YR or redder, and had pellicular grain structure; (3) Ustic Vertosols had a crust horizon (Acr), and crack structure dominated in Acr and angular blocky structure in disturbed horizon; (4) Because of the distinct differences in micromorphological features among these three soils, the specific micromorphological features might be employed as diagnostic horizons to differentiate soils while the quantifiable micromorphological features might potentially be selected as diagnostic indices for Chinese soil taxonomic classification.